It rained and it poured but it really didn’t matter. 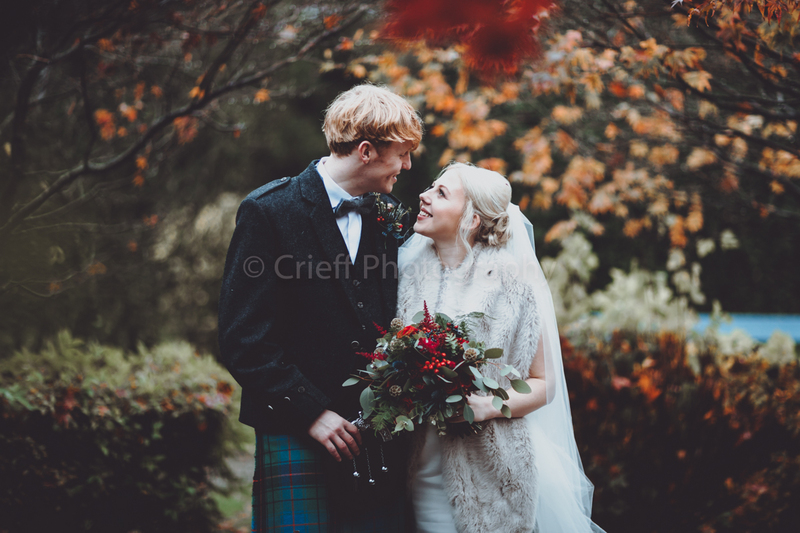 Calum and Sarah enjoyed a joy filled day at Crieff Hydro and their happiness was obvious. The colours of the leaves together with the rich berry tones of the flowers created such a pretty effect. Wishing you both the happiest of honeymoons and hoping that you enjoy this little preview as promised.